Get hands on with the world’s most affordable high-precision lab robot! Learn how to develop and run a protocol on the OT-2. 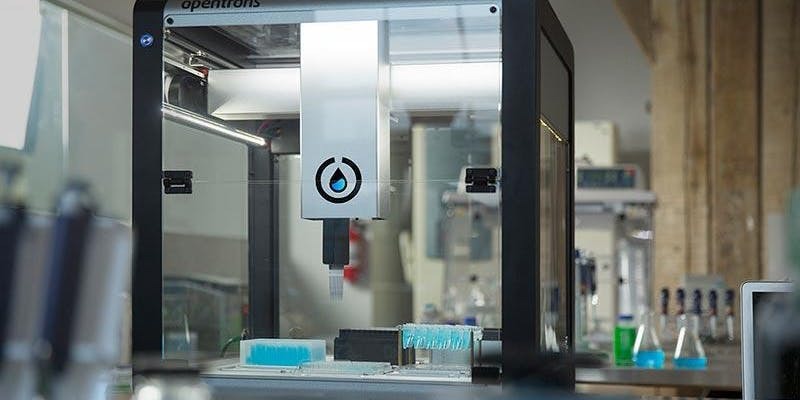 There will be robots for you to use yourself, as well as members of the Opentrons team there to help you learn how to automate your lab’s workflow. We welcome anyone interested in learning about lab robots, no matter your level of experience with automation platforms!